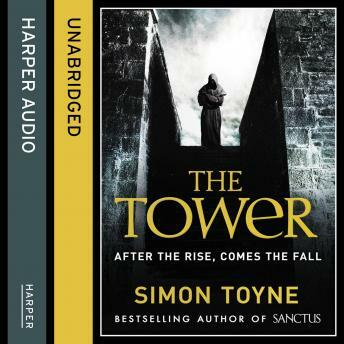 The much anticipated final instalment in the bestselling conspiracy thriller trilogy by Simon Toyne, author of SANCTUS: 'Plenty of action, plenty of intrigue and wonderfully imaginative. The sort of novel to devour in one sitting' Kate Mosse. For all fans of Dan Brown. AFTER THE RISE, COMES THE FALL. The forbidden Citadel at the heart of the ancient Turkish city of Ruin opens its gates for the first time in history. Why now, after centuries of secrecy? A deadly disease has erupted within, and threatens to spread beyond its walls. Infected charity worker Gabriel Mann may hold the cure - but can one dying man stop an epidemic? In the USA, newly qualified FBI Agent Joe Shepherd investigates the disappearance of NASA's most senior professor. Is it a vanishing act, an abduction, or something darker? Shepherd's investigation approaches a powerful conspiracy with global reach, and profound consequences. For them all, this much is clear: something big is coming. Something that will change everything. But will it be a new beginning or the End of Days?